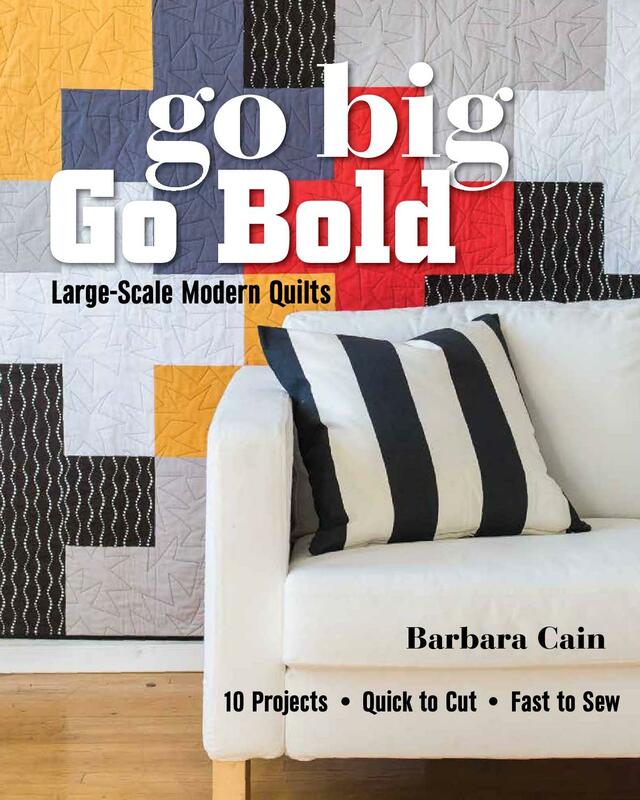 I am a relatively new and very proud member of the Pittsburgh Modern Quilt Guild (PGHMQG). I joined the group in January of this year and cant believe how much I have benefited from it. I've met kindred spirits, been inspired, learned a lot, have been challenged and have had a great deal of fun. I look forward to every one of our monthly meetings. This summer, our group launched an Inspiration Challenge which encompasses a series of opportunities for us to stretch outside of our comfort zones. Each month, we are to create a quilt segment that is inspired by the the characteristics of the month. According to the instructions, "There are no rules, no guidelines, no limits. Whatever you make is your own masterpiece. 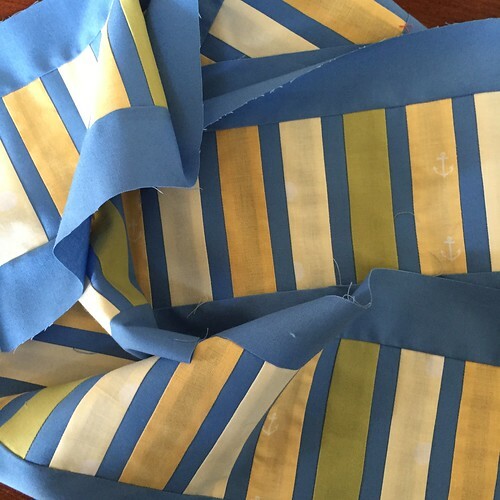 Try a fabric or color that you have never dared to use. Make a tiny block or make it oversized. It is truly up to you. It's okay to stay within your skill set, but you are encouraged to try a new technique here and there. Loosen up and let the passing months be your compass." What are some of my favorite things about the month of _____________? What is my inspiration point for this month? What are the color combinations/design elements that I want to explore this month? Do I want to place any restrictions on myself this month? What are some techniques I want to explore this month? My favorite things about the month of July are lots of daylight and sunshine. My inspiration point for this month is Modern Quilt Studio's adorable Fun House quilt. I however, will be making my quilt horizontally in rows as opposed to vertically in columns. The color combinations/design elements that I want to explore this month are related to sunshine, blue sky and green growth, ergo my use of brilliant blue, pale yellows and a vibrant green. The restrictions I want to place on myself this month, and every month for that matter, is to build this quilt entirely from my stash. The techniques I want to explore this month... I think I was a little weak here as I really didn't push myself technically. Maybe next month! 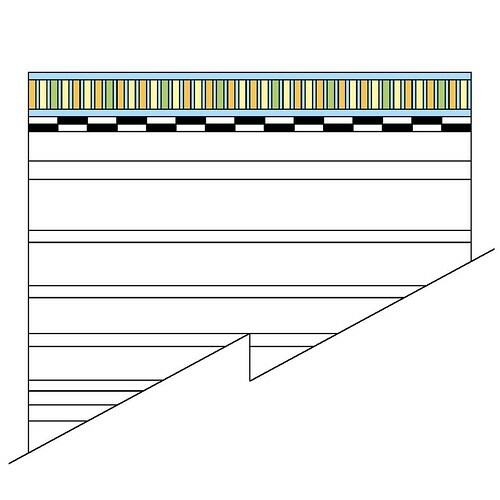 I've decided that each of the month columns will be separated by some form of a thin, neutral, black, white or grey pieced strip, so I've added this to my computerized drawing of the quilt. Each month, I will faithfully accept the challenge, and will update my drawing and my blog posts with another fun section of the quilt. Stay tuned! This really sounds interesting and like fun! I liked reading your thoughts about the challenge questions. We are so lucky to have YOU as a member! It is fun Varena! I'll continue to post my progress!